Continuous delivery can be defined as the flexibility of a software providers to adopt changes in a safe and sustainable manner, such as adding new features, making configuration changes, fix bugs, and include experiments. Since the coding process is always in deployment mode, despite thousands of developers imparting changes at the same time on a daily basis. With continuous delivery, phases pertaining to integration, product testing, and hardening are completely eliminated. The market for continuous delivery is flourishing because it helps in overcoming the restraints in deploying software on a regular basis. With continuous delivery, organizations can lower the risks of releases, achieve faster timespan to the market, delivery high quality products, and lower the costs to the end users. The products are improved as continuous delivery enables work to be done in smaller batches, and incorporating changes based on user feedback. Software firms are adopting continuous delivery systems as they are capable of making a happy working environment for the development team and reduces burn outs. While all this may sound very attractive, continuous delivery is a process of daily improvements and undying discipline of the developers. That being said, on the back of mushrooming of small and medium enterprises (SMEs), the demand in the global continuous delivery market is primed to expand at a formidable CAGR during the forecast period of 2017 to 2025. This report is a business intelligence study that has been compiled to showcase the demand potential in terms of US dollar million during a foreseeable future. The analyst of the report has included in-depth analysis chapters on the current trends, drivers, and restraints, provided figurative data on demand potential of various segments and countries, and profiled some of the key companies who are currently ahead of the curve. With respect to numerous associated factors, the global continuous delivery market has been thoroughly covered in the report. 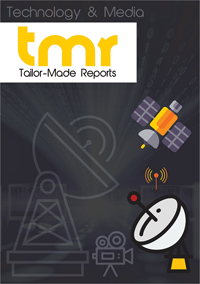 Some these factors which are comprehensively described in the report are chief growth drivers, prime restraints, competitive analysis, geographical outlook, and latest trends and opportunities. The compiled study covers a forecast that extends from 2017 to 2025. This study acts as a valuable insight for businesses which are already operating in the global continuous delivery market, as well exists as a helping hand for those who intend to newly establish themselves in this environment. The report also prognosticates the market to witness extensive growth during the forthcoming years. Chief market dynamics associated with key trends are also detailed in the study. The global continuous delivery market is mainly segmented on the basis of deployment mode organization size, by vertical, and by region. From the perspective of deployment mode, the market mainly consists of two segments: cloud and on-premises. Under organization size, small and medium-sized enterprises (SMEs) and cloud are two chief categories. On the basis of vertical, the global continuous delivery market is divided into several segments such as banking, financial services, and insurance (BFSI), telecommunications, media and entertainment, retail, and ecommerce, healthcare, manufacturing, education, and others (government, transport and logistics, and energy and utilities). A dire need for implementing automation in various industries, coupled with development of quality applications is majorly driving the global continuous delivery market. Many industries are experiencing a total overhaul of their infrastructure, which has made them go back to the drawing board and come up with new delivery methods and systems that are designed to bring in more efficiency. A large focus is being imparted on improving production time and delivery of services and associated products. This has made companies to incorporate vast research and developmental activities, thereby pushing the global continuous delivery market to expand rampantly. However, steep cost of equipment needed to facilitate continuous delivery-based processes is ultimately transferred to the customers in the form of high expenses, consequently hampering the market’s growth. Shortage of expertise needed to manufacture desired equipment and machinery in emerging economies is also substantially restraining the global continuous delivery market. Nevertheless, many businesses are gradually introducing cost-effective solutions that can dilute the restraints up to a certain extent during the forthcoming years. This market is mainly spread across North America, South America, Asia Pacific, Europe, and the Middle East and Africa. Of these, North America holds a leading position in terms of maximum revenue gained compared to other regions. This is mainly due to a vast presence of concretely established businesses in the region. High rate of industrial development in various sectors, rapidly increasing use of mobile and web applications, and a streamlined approach implemented by numerous industries has also been responsible for the market to exhibit extensive growth in North America. This market mainly depicts the existence of a highly fragmented and competitive vendor landscape, majorly due to the presence of innumerable players. Bringing about widespread delivery-based innovations for generating extensive development is a prime strategy implemented by most businesses working in the global continuous delivery market. Many businesses are working in this sector for numerous years, and have relied on carrying out extensive research as a key tool for attracting success. However, several local players are experiencing a substantial cutthroat competition due to a vast development achieved by larger players operating in the market. Puppet, IBM, Flexagon, XebiaLabs, Atlassian, CA Technologies, Chef Software, Electric Cloud, CloudBees, and Microsoft, are key players present in this field.